When coming home isn’t an option its always great to sink your teeth into a warm, yummy chocolate chip cookie and a big glass of cold milk and then you know you are home. 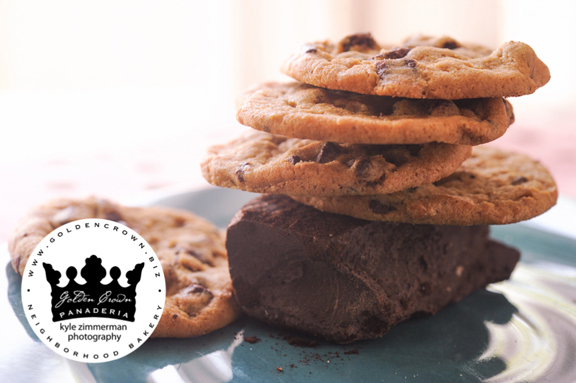 Our chocolate chip cookies are made with big chunks of gooey chocolate. Try adding a big dollop of vanilla ice between two of our chocolate chip cookies and you will have an amazing ice cream sandwich. Our Chocolate Chip Cookies are made fresh daily. They are 5.95Dz Or .65 cents each.